Yes, but you can’t play iTunes movies on anything but a Mac or Apple TV! That version is on there. Amazon sell more than one. Basically a rental so doesn't really count. Buy from eBay for a bargain. Far better buying this from iTunes, the Wukai app is trully awful. Not really a deal if others are price matching, it becomes the market price! B. Is on Sky Movies atm along with 999 other films for £10 a month. A. Already own it.B. Is on Sky Movies atm along with 999 other films …A. Already own it.B. 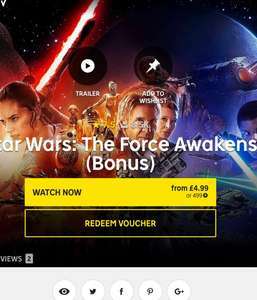 Is on Sky Movies atm along with 999 other films for £10 a month. Wow and you like your own posts as well. You really are a gimp aren't you.